8 Week IMA Foundation/Fashion/Photographic/Media & Special Effects Make-up Diploma (+) Hair Styling Diploma Course. The ultimate course for those who are serious about a career in high-fashion and Media Make-up Artistry. 8 Week IMA Foundation/Fashion/Photographic/Media & Special Effects Makeup Diploma (+) Hair Styling Diploma Course. This course will take you from a basic foundation level, through to a high level of photographic and creative make-up. Working in pairs, the students work on each other to gain the widest range of experience. 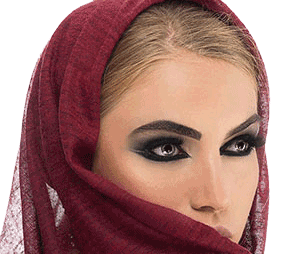 A vast range of top make-up brands are supplied for class use. It is suitable for beginners and experienced artists requiring a refresher. Full client consultation: skin analysis, face, eye & brow. Colour wheel – theory and identification. After an IMA course, you will be required to complete a portfolio/file and sit an examination which you must pass at 80% to gain your qualifications. An external examiner will come from London to evaluate the students in practical and theory tests. The exam date may be at the end of the course or at a later date depending on the availability of examiners. Therefore students must check with the college before booking to find out the date of exam. Photographic evidence of make-up will be required for all students. 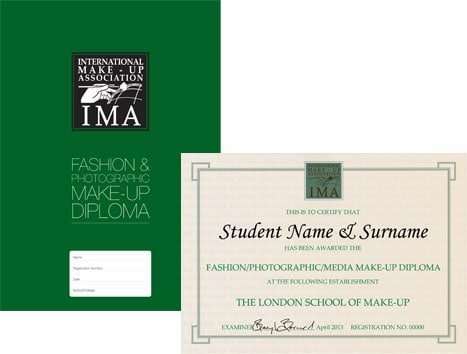 1- IMA Make-up Application Certificate. 2- IMA Diploma in Dressing Hair. 3- IMA Fashion, Photographic and Media Make-up Diploma. MAC Pro Card: Once you finish your make-up course and receive your qualification, you will be eligible to apply for a MAC Pro Card which offers a 40% discount. Pro Hygiene: 20% discount on purchase during the class seminar. During the course you will have one Studio Color photo-shoot and one Monochrome photo-shoot with Professional Models. Teaching the high standards of working professionally in a studio environment. The College is collaborating with M.H. Alshaya Co., one of leading retail franchise operators in the Middle East, to provide work opportunities for graduates of our College. On completion of their course with the College, graduates will be able to apply for a full-time role with one of top health & beauty brands Like MAC cosmetic & more. Our Alumni (Former Students) will be offered work experience when available through our close connections with the fashion and beauty industry. We help them build their portfolios and confidence to get a head start in the competitive industry. Internships for Top graduates with London College of Make-up. We provide an industry benchmark for make-up artists and those who want to employ make-up artists. Most fashion make-up houses who employ pro staff would require a recognized independent qualifications to show that the employee has the standard level of understanding in hygiene, application and client care. IMA Make-Up Application Book (Red). Portfolio Building (2 Photo-shoots with Professional Models). Note 1: If students fail their exam, the IMA Examination retake fee is AED525. Note: The college takes bookings on a first-come first-serve basis and seats are only booked once a payment is made. 2 Weeks – Full time course. 2 Days- Full time course.